Handelabra Games (Sentinels of the Multiverse digital) had a couple of awesome announcements at PAX East yesterday. 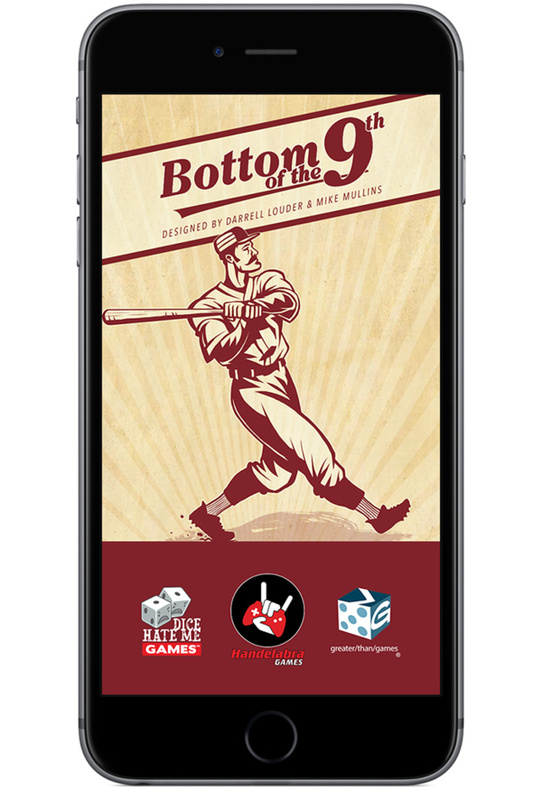 First, they’ve apparently been secretly hard at work developing a digital version of Dice Hate Me Games’ popular baseball-themed board and dice game, Bottom of the 9th. We don’t have a lot of details on it just yet, but in a conversation with Handelabra Games’ Founder and President Jeremy Handel, he quipped that they’re currently in the 4th inning as far as development goes. His team started by developing the main engine for the game, just to see if it would all work. Handel said that they have a functioning build, “but it isn’t pretty at the moment”, there is still work to do. For more details as the development progresses, keep an eye on Bot9Digital.com and join their mailing list. In the meantime check out this trailer at the end of this post. As for Sentinels of the Multiverse fans, a new update was just released yesterday which adds the Challenge Mode which was previously unlocked as a $110,000 stretch goal during their most recent Kickstarter campaign. A new hero team, Termi-Nation, makes also makes its debut with this update and with it are several new variants to discover for Absolute Zero, Bunker, and Unity. Each villain gets another “twist” to their rules, adding that extra delicious layer of strategy to spice up your Sentinels game. And for those who want add even more fire to the flames, Ultimate Mode allows you to play with both the rules from Advanced AND Challenge Mode at the same time. The villains dare you to try to stop their nefarious ploys! For the achievement hunters out there, we’ve added two new achievements: Challenge Accepted for defeating all of the core game villains on Challenge Mode, and The Ultimate Hero for defeating all of the core game villains on Ultimate Mode. You can find out about each challenge mode by reading the full villain cards in the New Game screen or the Multiverse. Or download the PDF made by Greater Than Games here. Unity: Reconfigure – Shuffle a Mechanical Golem from play into your deck. Move a Mechanical Golem from your trash into play. You may draw a card. Bunker: Modulize – Destroy 1 of your Ongoing or Equipment cards. If you do, draw 1 card, play 1 card, and use a power in any order. 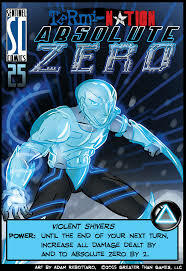 Absolute Zero: Violent Shivers – Until the end of your next turn, increase all damage dealt by and to Absolute Zero by 2. Unlock conditions for the Termi-Nation variants are waiting to be discovered by you! Remember, the first person to contact us on Facebook or Twitter with a screenshot showing their successful unlocking of a Variant earns a spot in the Hall of Fame.